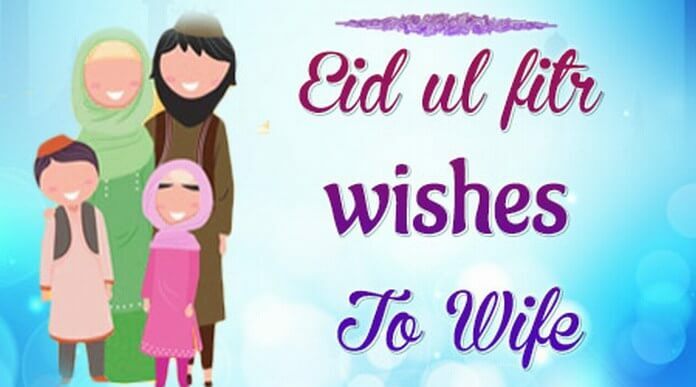 Surprise your lovely wife and loved ones with romantic Happy Eid Ul Fitr 2018 messages and beautiful Eid Mubrak quotes. Eid is the time of celebration when you wish the most important people in your life and your wife is surely the closest person to your heart. 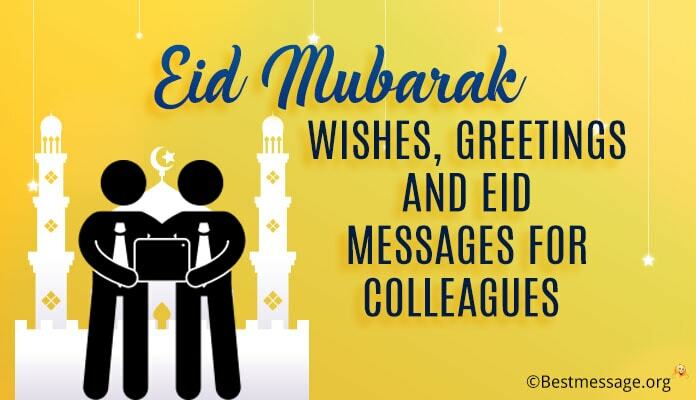 Eid Ul Fitr marks the end of fasting as the holy month of Ramadan comes to an end and this is the time when everyone engages in feasts and celebrations. Make sure you bring a smile to your wife’s face by sending her a special Happy Eid Ul Fitr 2018 message. 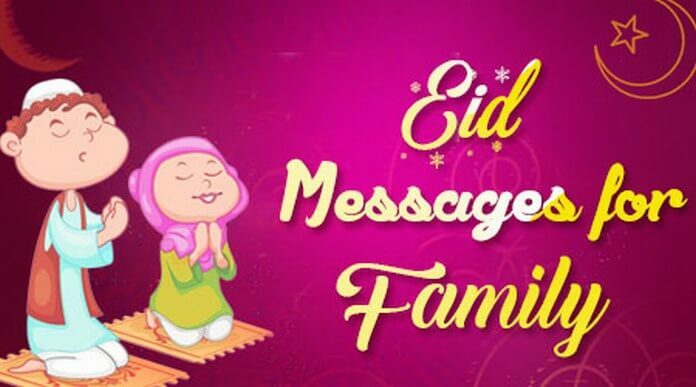 We bring to you a wonderful collection of Eid Mubarak text messages which you can send her on Whatsapp. 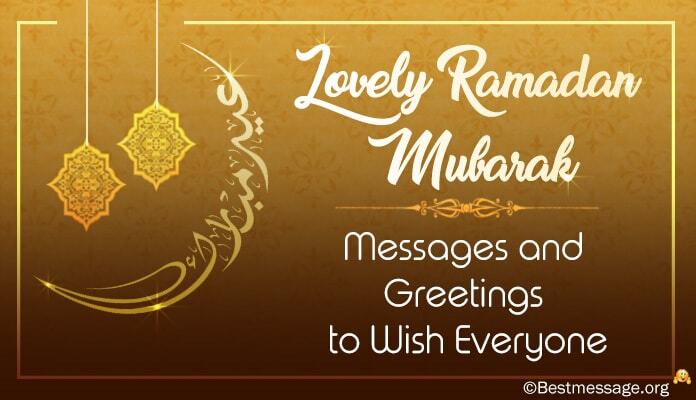 Use these Happy Ramadan messages to wish her in the most unique way. 1). 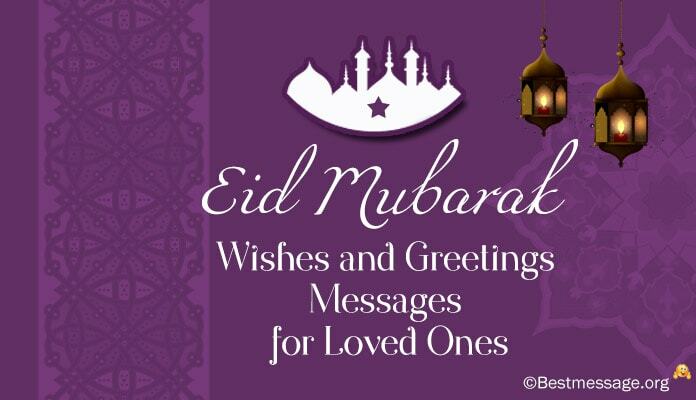 I am sending you a bunch of beautiful flowers as I wish you a very happy and blessed Eid…. May each and every moment of your life is showered with happiness and glory by Allah… May you have the best Eid of your life. 2). On the occasion of Eid, I wish that Allah open for you new doors to happiness and success…. May this year turns out to be the most beautiful year for you as Allah showers his choicest blessings on you…. Happy Eid. 3). Eid is a reminder that I am truly blessed to have a wonderful wife like you and I must thank Allah for sending you in my life and also offer my prayers to him to give you a life full of smiles, good health and happiness…. Eid Mubarak to you. 4). May your sincere prayers win you the love of Allah…… May your dedication compel him to make all your dreams come true….. With such thoughts, I wish you Eid Mubarak my dear. 5). Let us be more generous to all those who are not so blessed…… Let us work hard to seek forgiveness for all our sins……. 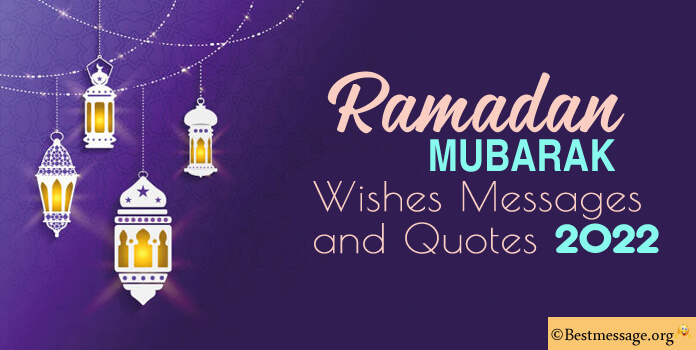 Let us make it a holy month in true sense………. Ramadan Mubarak to you. 6). My words fail to express my feelings for you. All I can say is that you mean the world to me and I pray to Allah for your happiness and health. Wishing you a beautiful Happy Eid Ul Fitr dear loved Ones. 7). Guzarish hai khuda se, karde humari sari gustakhiyan maaf aur bhar de aapki zindagi har khushi aur kamiyabi se. Dua hai sada salmat rahe humari mohabbat. Eid Mubarak ho aapko baar baar. 8). You came into my life as the sweetest blessing from Khuda. I pray to Him to always keep you happy and glowing because you are my life. Wishing you a wonderful Happy Ramadan my love. 9). On the pious occasion of Ramadan, I pray for the best of health, happiness and success for you. May you always shine like a bright star. Warm wishes to you on Eid Ul Fitr my sweetheart. 10). Celebrations of Eid are incomplete without blessings of Allah and I have asked for the best of the blessings for you from Him. Sending you lovely warm wishes on Eid to the best wife. Eid Mubarak. 11). Let us together offer prayers to Allah to seek his love and blessings for our relationship. Let us ask for his support and guidance. Happy Eid Ul Fitr to the lady who means the world to me. 13). The blessings of Allah have the power……. To transform sadness into happiness……. To transform failure into success……. 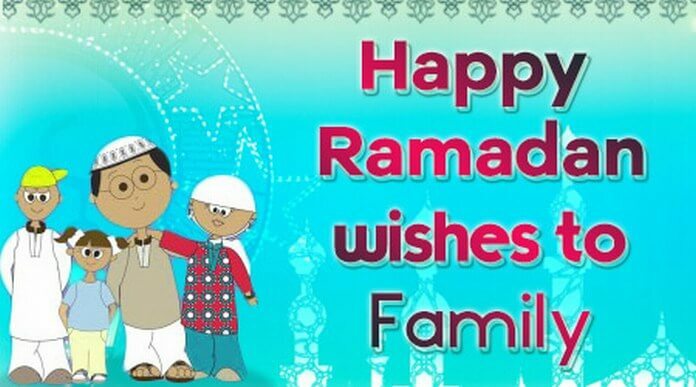 Wishing the best of the miracles to you on Ramadan!! 14). May your life is showered with love of Allah….. Blessed with His guidance to walk the right path With lots of love, wishing a very Happy Eid Ul Fitr to you.